Taking trash night out of the dark ages! I always get very optimistic during this time every year. After reflecting on goals that I’ve achieved (and those I didn’t) I get to wipe the slate clean! New year, new goals! Here are some of the top items on my list this year…what are yours? Enjoy life more: Most of my life is spent sitting behind a desk and looking at the computer screen. I love what I do, but there are times that I need to get out and experience life in real time not in the virtual world. Something as simple as reading a new book or sitting with my kid on the porch will fill the bill nicely I believe. Travel! As mentioned before, being on social media CONSTANTLY means that I get to see where all of you are traveling, exploring and experiencing! And I am jealous! I am going to make sure to get some trips onto the books before this year ends so I have something to work towards and look forward to! Learn something new:Have you vowed to make this year the year to learn something new? Perhaps you are considering a career change, want to learn a new language, or just how to fix your computer? Whether you take a course or read a book, you’ll find education to be one of the easiest, most motivating New Year’s resolutions to keep. The local Community College offers a wide variety of “lifelong learning” courses, and local YMCA’s offer great recreational training for beginners of all ages. Most local colleges and universities offer distance and adult education programs. Or if the arts are more your thing, maybe give the community theater a try…you know you’ve always wanted to have a part in Rocky Horror! Volunteer: A popular, non-selfish New Year’s resolution, volunteerism can take many forms. Whether you choose to spend time helping out at your local school or library, mentoring a child, or building a house, there are many nonprofit volunteer organizations that could really use your help. Or if your time is really in short supply, maybe you can at least find it in you to donate the furniture, clothing and other household items that you no longer need, rather than leaving them out by the curb to fill up our landfills. Relax! This is an easy one. Take a breather once in awhile. Do some yoga. Take a pet for a walk or a child to the park. Smell the roses and whatnot. Spend more time with family & friends: Recent polls conducted by General Nutrition Centers, Quicken, and others shows that more than 50% of Americans vow to appreciate loved ones and spend more time with family and friends this year. Make plans to meet up with friends for an evening of camaraderie at a favorite restaurant or take the family to one of these popular places for family fun. Work shouldn’t always come first! Blog, blog, blog… Blogging is fun and addictive. Do you have some thoughts to share? Then give it a try! Happy New Year! A Trash Knight System for me! Keep bears away from your trash! Bears in Yosemite are getting ready for winter by consuming as many as 15,000-20,000 calories per day and drinking several gallons of water. Acorns are a great source of food for bears this time of year. This data was taken from a Yosemite National Park study of bears and their habits. Remember, bears are very industrious and want to find food. 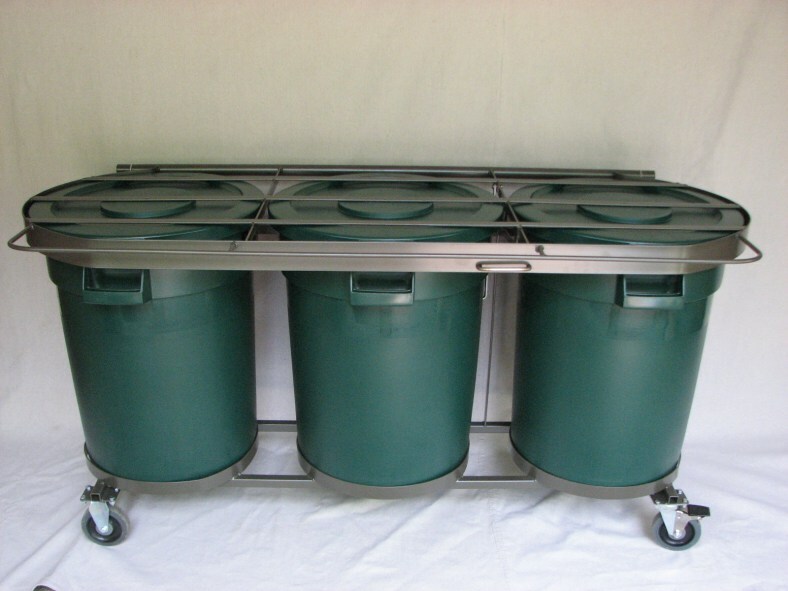 Make sure your trash is secure in a Trash Knight system. 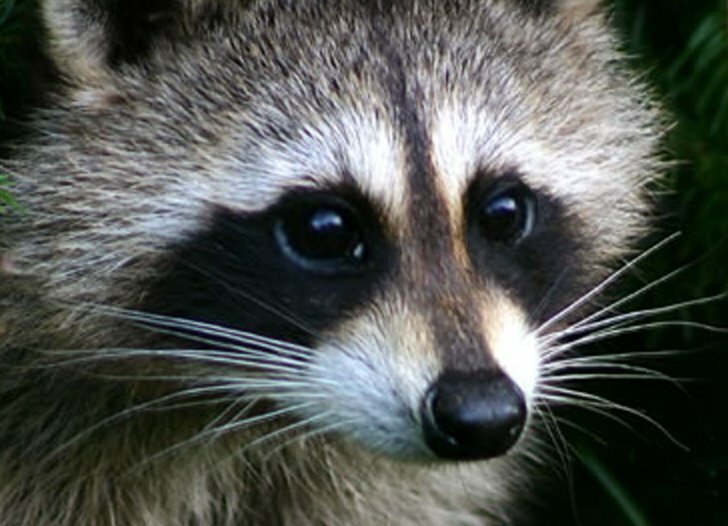 In addition, there have been 26 incidents of bears obtaining food from trash that was left out or from unsecured trash cans or dumpsters. So far this year, incidents are down 76% compared to the same time last year, and down 92% since 1998. This week, a bear got food out of a cooler that was strapped to the roof of a van at Happy Isles during the day. Please store food properly at all times of day, and never leave food unattended, even if you plan to be away just a short while. 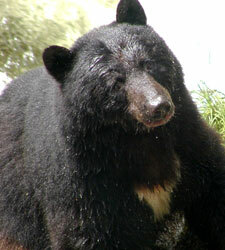 American black bears are suited to Yosemite’s forest habitat. American black bears (Ursus americanus) in Yosemite National Park have long been of intense interest to park visitors and managers. Seeing one of the approximately 300 to 500 black bears in Yosemite can evoke excitement, awe, and fear. Visitors who spot a bear sauntering across a meadow or eating berries in a wetland should consider themselves lucky. But, if the brown bear, also known as the grizzly, is on California state flag, why not look for it when in Yosemite? This is because, in California, there are no more grizzlies. When Euro-Americans arrived, they found a large population of grizzlies throughout the state. Grizzlies were a dire threat to life and property, however, and were killed in large numbers. 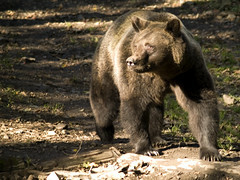 By the early 1900s, few grizzlies and little of their prime habitat in the Central Valley remained. The last California grizzly was killed south of Yosemite in the Sierra foothills in 1922, according to one account. Black bears, in contrast to brown bears, have fared much better due to a combination of their greater adaptability around people and habitat stability. Black bears fascinate wildlife enthusiasts due to their curious physiology and behaviors. Most of Yosemite’s black bears, despite their name, are not black but are brown in color. Truly black black bears are rare in the Southwest. Black bears vary greatly in size— the largest black bear captured in Yosemite weighed 690 pounds, which is much larger than the typical male found here that weighs 300 to 350 pounds. Bears weigh the most in fall when gorging on acorns to gain fat to survive winter—consuming up to 20,000 calories a day. (That is a lot of calories, equating to a person eating 40 Big Mac sandwiches in a day.) Bears hibernate in hollow trees or logs, under the root mass of a tree, or in caves formed by the jumble of large rocks. While hibernating, bears enter a state of reduced body temperature, pulse rate, and respiration to conserve energy and do not defecate nor urinate but can metabolically extract energy from body wastes. Their “sleep” is not a deep one, which allows them to leave the den periodically. After emerging from winter dens, bears feed largely on meadow grasses, which are low in nutrition but sustain them until berries of various plant species ripen to provide higher calories. Bears also eat ants, termites, and insect larvae ripped out of logs or dug from the ground. In terms of lifespan, the oldest bear known in Yosemite was a 28-year-old female captured in the West Valley in 2001–park biologists never saw her again. Visitors who encounter a bear should keep their distance out of safety and respect for themselves and the animal. If visitors see a black bear in undeveloped areas, they should remain at least 50 yards from it. If they encounter a bear in developed areas, they should stand their ground and scare the bear away by raising their arms and making loud noises. Black bears may show dominance by bluff charging, especially when guarding food or cubs. Attacks are rare, and no one has been killed by a black bear at Yosemite. The Yosemite bear management team places signs where a vehicle-bear collision has occurred in the park to educate drivers to slow down. Bear management attitudes have changed since the early days of the park’s history when little was done to keep bears from becoming conditioned to human food. Decades ago, the National Park Service maintained several bear feeding areas in the park where bears were fed for entertainment reasons. When visiting, visitors should expect black bears to attempt amazing acts to obtain human food. 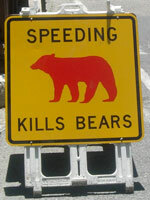 If food has been left in a car, bears will break vehicle windows, bend car frames, and pop open camper shells. To get into a trunk, they will enter the passenger area and claw through the back seat. Learn about Yosemite’s bear management and food storage regulations for campgrounds, trailheads, lodging and wilderness. Get up-to-date details of Yosemite’s bear activity. See how to use bearproof food lockers located throughout the park. 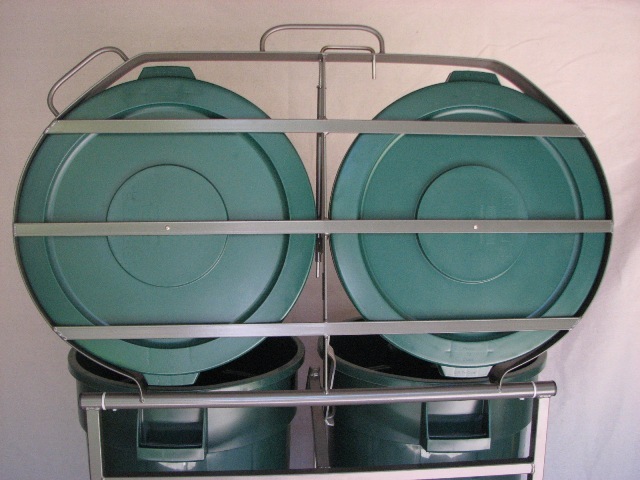 View a video on proper food storage for all visitors. Backpackers need to take additional precautions to ensure proper food storage. Canisters are required in all of Yosemite’s backcountry. If you see a bear, file a wildlife observation summary report or e-mail sighting specifics with location details to the park.